In just over a week’s time, the newly branded Honda Marine 18′ Skiff will take on the JJ Giltinan regatta on Sydney Harbour. 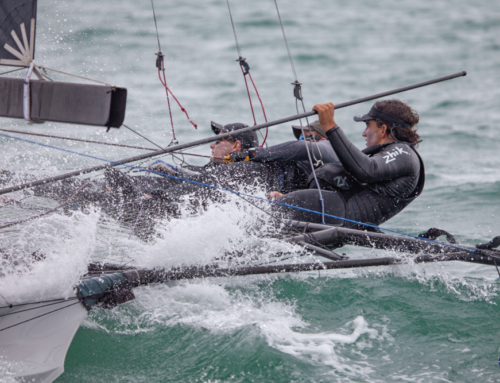 The JJ’s are considered the pinnacle of 18′ Skiff racing and a New Zealand team has not won the event since 1974. David McDiarmid, Matt Steven and Brad Collins came agonisingly close to claiming the trophy in 2017, however after winning four of the seven races, only managed to come away with third place. “It was brutal,” said McDiarmid. But not much is changing for the team as they head into this year’s regatta which kicks off officially on Saturday 3rd March. “We are going to Sydney this year powered by Honda, and apart from that we have not changed too many things. Most importantly we have managed to keep the same crew together and we are all very motivated to bring the trophy home,” said McDiarmid. 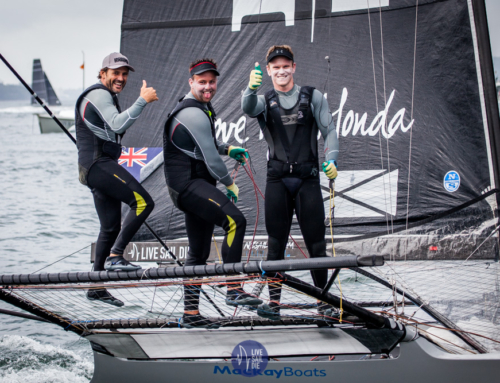 The team have continued with their usual training regime on Auckland Harbour, from their home base, Royal Akarana Yacht Club, on the shores of Okahu Bay. “We have done a series of block training sessions,” said mainsheet man Matt Steven. “As always we have been battling some unusual weather patterns in Auckland but for the most part have had a good range of conditions. “Off the water we are doing our individual fitness work to prepare for the eight days of racing. Dave is the Pull up King,” continued Steven. Fitness is a major component to successful 18′ Skiff racing with the crews needing to be both athletically fit and powerful. 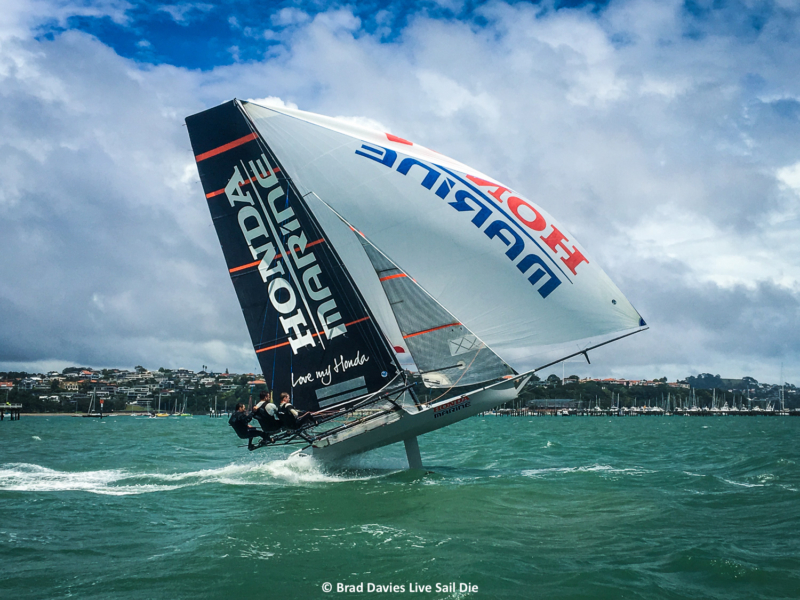 Honda Marine, who recently partnered with New Zealand’s top 18′ Skiff team, is backing their sailors all the way. “We jumped at the chance to get behind Dave, Matt and Brad – they’re consistently at the sharp end of the 18′ skiff scene and were a logical match for Honda’s own passion around yachting and high performance levels. Good luck over there guys, send it hard!” said Cameron Burch from Honda Marine. The Auckland Skiff League / Royal Akarana Yacht Club team will head to Sydney on Thursday and, unpack their boats from the container and prepare themselves for the Invitation Race on Friday 2nd March. “We’re excited and ready for the challenges that lay ahead on Sydney Harbour,” said bowman Brad Collins. All races will livestreamed via 18 Footers TV on YouTube and via their website.